Come join “All In” and put some time on the tools! 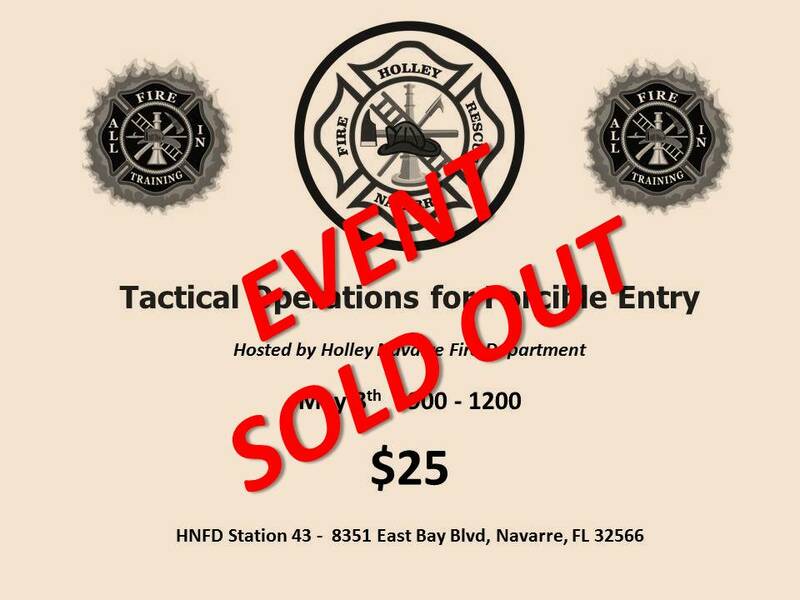 Hosted by Holley Navarre Fire Department. We will be covering conventional forcible entry that is the most adaptable method of entry. It usually consists of two firefighters using a set of irons but at times can be accomplished by one. When required it should be started immediately in a manner that preserves the integrity of the door. 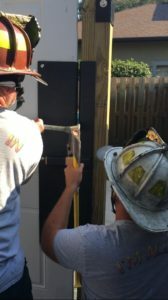 This three hour forcible entry class is hands on conventional forcible entry techniques on inward and outward swinging doors and drop bars. Micro-scenarios will allow students the opportunity to apply techniques in practical situations. The goal of this course is to make us safer and more productive on the fire ground by promoting awareness and comfort level with the use of forcible entry tools. If you want to take your skills to the next level this course is for you. SORRY, THIS EVENT HAS SOLD OUT!!! Thermal Imaging: Not just for overhaul anymore! A WordPress Commenter on The Attack Line… and beyond!